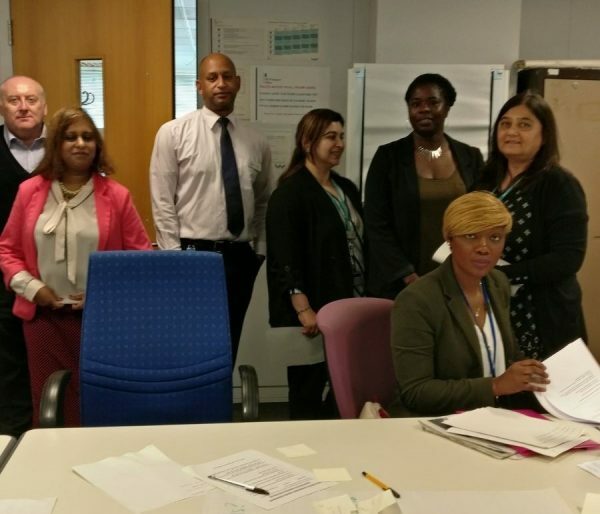 Inspired by their time at the 2016 ESEL Junior Leader’s Academy the Hurricane family wanted to help other potential leaders and came up with the idea of a ‘Civil Service Leadership Ladder’ for their project. Joanna Wing tells us more about their project. Over the last six months the team have spent time planning and preparing a series of leadership and competency workshops to help aspiring leaders fully understand the role, the do’s and don’ts, the competencies, and how best to use the knowledge and experience gained to provide evidence for the end of year reports and job applications. By running these sessions, my team, hope that our candidates will be inspired and feel empowered, and become confident and effective leaders of the future. The team recently trialled the first workshops in HM Passport Office in London and the Ministry of Defence Guard Service will run a session in mid-June. Further workshops will involve interview techniques and how to present yourself in a positive and effective manner and mock interviews with a panel from across the government departments. Feedback from the first sessions has been very positive, and we have already got a reserve list for the next sessions. As a team, we are very pleased with the results so far. If you are interested in taking part in one of our academies the application process for this year’s Academy on 26 to 29 June is now open. More details can be found here. I would love to get involved in the Junior leaders workshop taking part on 26-29 June 17- however due to the festival of Eid falling during this period I am unable to take part in this event. Please let me know if you have this workshop planned in the future . We hold these academies annually and try to vary the dates and venue to make them as inclusive as possible but inevitably whenever we hold events there will be some who, for many different reasons, are not able to attend. This was the only week we could get this venue and we didn't know dates for Eid but we are working with them to ensure that if anyone is observing Ramadan they can be accommodated and if appropriate have an Eid celebration.